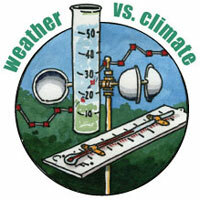 Cliff Mass Weather and Climate Blog: Climate Versus Weather Prediction: Do We Need to Rebalance? Climate Versus Weather Prediction: Do We Need to Rebalance? "To prioritize and redirect NOAA resources to a focused program of investment on near-term, affordable, and attainable advances in observational, computing, and modeling capabilities to deliver substantial improvement in weather forecasting and prediction of high impact weather events, such as tornadoes and hurricanes, and for other purposes." Sponsored by the Republican side of the committee, the goal of this act is to provide sufficient resources and guidance to push weather prediction forward more rapidly. And the sponsors are right, with better organization and enhanced resources, weather prediction could improve rapidly in the U.S.. The Democratic side of the committee were clearly unhappy since it is clear that part of the intent of the bill is to rebalance resources in NOAA: more for weather prediction and less for climate. Is their an imbalance between support and priority for weather prediction and climate in the U.S.? For the sake of this blog, I will consider that weather prediction covers the period from 0 to two weeks. Climate prediction more than a few years out. And there is another animal that is rapidly developing (although skill is modest): seasonal prediction from two weeks to a year out. Weather prediction is heavily based on numerical weather prediction, in which one starts with a 3D description of the atmosphere and computer models forecast the detailed evolution of the atmosphere. Climate prediction depends on climate prediction models (also known at General Circulation Models), which are VERY similar to weather prediction models except that the climate models let gas concentration change, use coarser resolution, and are connected to evolving ocean models. Climate simulations are not used to provide a detailed description of the climate at one time, but to provide climate statistics (e.g., winters will be warmer, snowpack will be less, extremes will change in a certain way, etc.). Climate simulation makes use of the fact that changes in "external" forcing--like varying greenhouse gases--will alter the weather patterns over the world. Climate prediction also makes use of long-term cycles (such as the Pacific Decadal Oscillation (PDO) or the Atlantic Multidecadal Oscillation (AMO)). And then there is seasonal prediction, which really is a hybrid between the two that uses both extended runs of weather prediction models (like the U.S. GFS) and an understanding of modes of natural variability (like El Nino/La Nina). Seasonal prediction also makes use of statistical relationships (such as the relation between snowpack and soil moisture and the weather over the next few weeks and months). And there is also a HUGE difference in the amount the U.S. government spends on climate and weather research. For example, President Obama's request for climate research is roughly 2.7 billion for the U.S. Climate Change Program, while according to the Federal Coordinator for Meteorology that total budget for weather research (mainly in NASA!) was 1.25 billion. So roughly 2.5 times the money for climate research (and the ratio is really much more because most of the NASA funds are used for supporting satellite missions and climate work). As a researcher at a leading university that does both climate and weather research, let me assure you it is MUCH easier to get funding for climate research than weather prediction-related research. NSF, NASA, NOAA and many agencies have big money for climate research, while NOAA is constantly zeroing out their funding for extramural weather research (like their CSTAR program). A real eye opener. The imbalance is profound and large. Does this make sense? And if you are interested in the local implications of climate change, the best technology is dynamical downscaling, in which weather prediction models (such as the Weather Research and Forecasting Model, WRF) are driven by global climate models. Thus, cutting edge climate prediction depends on weather prediction models. I don't think I have to work hard to convince you that improved weather prediction saves lives and improves the economy TODAY. With trillions of dollars of U.S. economic activity sensitive to the weather, even small improvements can save our nation tens of billions or more a year. The U.S. has some of the most extreme weather in the world and we require state-of-the-art weather prediction to protect our citizens and to aid economic activity. High-resolution U.S. weather prediction is only done by the U.S. government or U.S. companies/universities--the Europeans will not do this for us. But dozens of major groups around the world are doing state-of-the-art global climate predictions for next century. Quite frankly, if the U.S. wasn't doing climate simulations there would still be plenty to choose from and lots of research activities using them. And the skill of such climate predictions are uncertain and few nations appear to be willing to make major economic decisions based on them. Let me be clear: I believe global warming is a threat to mankind and that research is needed on this topic. But weather forecasting research is certainly equally as important, and in fact serves climate prediction and warning as well. The current bill needs some work (more on that in a future blog) and I truly hope it can become bipartisan--and it should. Better weather prediction is a win-win situation, both for climate and short-range weather forecasting. Great balanced,sensible analysis. You are quite right:"Good weather forecasts have a huge impact in saving lives and property for extreme weather events," and this regardless of the cause of those extreme weather events. This should leave no doubt as to what our priorities should be. In this context, I can recommend a good read:"Warnings: The True Story of How Science Tamed the Weather," by Mike Smith, 2010, Greenleaf Book Group Press, Austin Texas. The weather has been . . . weather. The climate drivers, however, have been discovered. A simple equation at http://climatechange90.blogspot.com/2013/05/natural-climate-change-has-been.html calculates average global temperatures since they have been accurately measured world wide (about 1895) with an accuracy of 90%, irrespective of whether the influence of CO2 is included or not. The equation uses a single external forcing, a proxy which is the time-integral of sunspot numbers. A graph in that paper shows the calculated temperature anomaly trajectory overlaid on measurements. ‘The End of Global Warming’ at http://endofgw.blogspot.com/ expands recent (since 1996) temperature anomaly measurements by the five reporting agencies and includes a graph showing the growing separation between the rising CO2 and not-rising average global temperature trend. 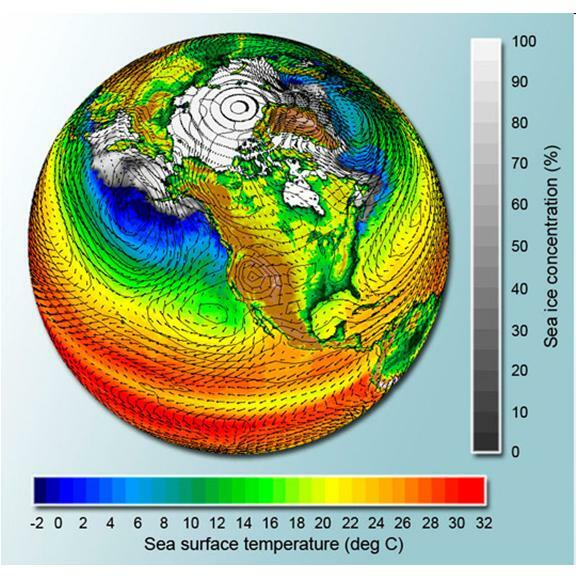 Climate modeling is not only concerned with the atmosphere. Ocean, ice, and biosphere are equally important. I think it can be argued that climate modeling is more complex because of the different components and time scales involved. Having said that, I do agree that weather prediction is important and should be adequately funded. I hope it doesn't have to come at the expense of climate funding. Both are equally important and adequate funding for one should not come at the expense of the other. Cliff, I'm surprised you didn't cite the European weather modelers as doing a superior job of predicting the trajectory of Sandy using finer-grained modeling and more computer power, as a justification for more funds for weather prediction. But it isn't clear to me that the better trajectory prediction would have (or did) saved lives and reduced property damage. 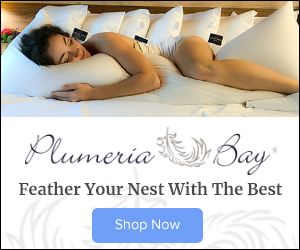 The New York Bight area was simply unprepared for the size of the storm tidal surge whether they knew it was coming or not. The committee proponents for increased spending on weather prediction may have been thinking about the effect of weather on agriculture and property losses and insurance losses. But those kinds of losses are seasonal, like the drought/rainy seasons, the tornado season, the hurricane season, the time scales of which all fall between weather and climate. So the argument over funding for weather or climate prediction is over a false dichotomy. One blends seamlessly into the other with a variety of time scales. Just because the NWS started out as the Weather Bureau, and we knew virtually nothing about climate, doesn't mean that the compartmentalization has value now. Instead we need an Atmospheric Science Service that does research and makes predictions on a variety of temporal and physical scales. It's all one thing. I agree with Herbert Curl. This seems like a false dichotomy. The richest country on earth should be able to afford top-flight computers and other resources in BOTH climate and weather prediction. One can say that climate and weather are on a "continuum" and that the nation rich enough to do both, but the truth is that decisions have been made to provide far less funding for weather research than climate research, with substantial negative impacts on our ability to predict weather. That has profound safety and economic impacts TODAY. I've been a follower of this blog for a while and I must say while I do not like "climate versus weather" ... one against the other, I do think Cliff is bringing up an important point that needs some more examination and discussion. Can anyone provide the facts and figures to show that climate has NOT been growing at the expense of weather in the last decade? It seems like there is clear evidence that computing power has languished for weather (although maybe not for long given the planned upgrades) and my perception is that research programs have been cut. My feeling is that Climate Programs Office (CPO) within NOAA has seen huge increases over the last decade, while NWS programs dedicated to research are now basically nonexistent. If true, this is not a healthy state of affairs for EITHER timescale. So, it would be nice if the larger atmospheric science/meteorology community could have an honest and clear discussion whether the balance has been tilted far too much in the climate direction at weather's expense. This discussion shouldn't focus so much on the "versus" as it should an honest, transparent accounting for what we are getting for the taxpayer's money and what our overall goals are. Hi Cliff I was wondering how is are winter shaping up so far here in the NW I here a wild one some others say a very mild one what is your thought? Seattle is on a roll this summer, eh? I wonder what the chart would look like if you compared computing capacity of European and other agencies against NWS weather prediction capacity. This progressive Democrat supports the Republican-led effort for more weather prediction computing resources. Why? Because just as climate is the sum of all weather, climate change is the sum of all weather change. My educational background is in economics, which has interesting parallels to meteorology/climatology. Microeconomics, which deals with the behavior of individuals and businesses, is kind of like the mechanics of weather science. Macroeconomics, with its aggregates and heavy statistical modeling, parallels climate science. Over the past several decades macroeconomics has been updated with what are called "micro foundations," and I believe climate science could better benefit through "weather foundations." Understanding how weather patterns for a given location and season will be affected by changes in the oceanic and atmospheric chemistry, will give a clearer picture of how a given location will experience the "Meteorological Wheel of the Year" differently in the coming decades. The Pacific Northwest seasonal climate is experienced as a summation of many signature weather patterns: the windstorm, the Columbia Gorge snow/ice storm, the arctic blast, the onshore wet snow event, the weak-sun ridging inversion, the false spring, cold-air spring convection, spring warm spells, "Juneuary," summer heat waves, marine pushes, monsoonal thunderstorms, the Indian Summer, the autumnal surface high, the onset of fall rains, the "Pineapple Express," etc. etc. 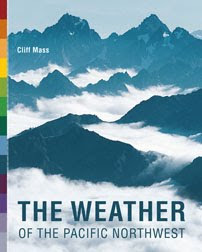 As a result of climate change, it's just possible that the 20th edition of Cliff Mass's book WEATHER OF THE PACIFIC NORTHWEST, published in the year 2060, could look remarkably different than the current edition. And better weather modeling is the key to understanding all these nuanced changes..